The Southwest Mind-Body and Integrative Medicine Conference takes place every year in October. The mission of the conference is to promote a culture of health and wellness in the El Paso, Juarez, New Mexico region by providing training and education in holistic health and healing methods and modalities. May 1, 2018: The second season of This Hip Hop Show has started! THHS mixes some of the best underground hip hop by System A and hosted/produced by Cucumber Mark. April 1, 2018: We were excited to be invited to submit a design for the Mesilla Valley Film T-Shirt Competition. We were selected and you should see the new t-shirt design this fall. 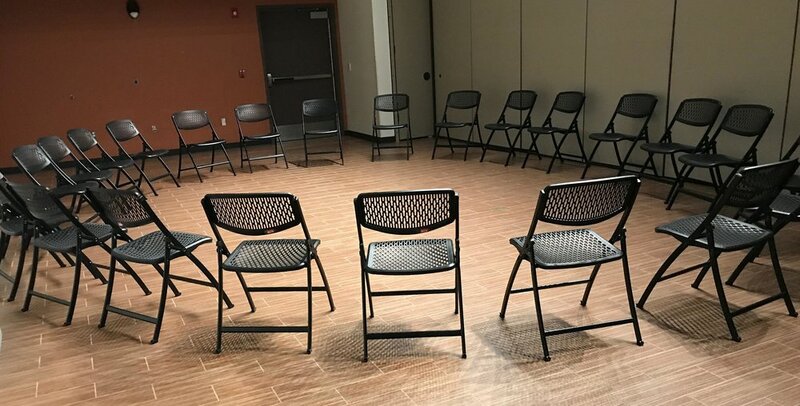 March 1, 2018: Support groups are making the difference in New Mexico. Latino Healthcare Access is leading the way in cultural competency and awareness when it relates to Diabetes education. It's important to understand the difference between audio streaming and audio on demand. Audio Streaming: Is audio that is live or pre-recorded programing that is being played on a set schedule. For example the output from an online radio station. Audio Streaming platforms/servers include Wavestreaming which feeds Tune-In Radio and other apps. More recent platforms like Facebook live or Youtube Live can also be considered as streaming. Some radio stations build their own streaming server but most simply purchase a 3rd party platform to avoid the headache of hacks/viruses or maintaining the servers. Audio On Demand: Is audio available online or on a device to listen to at any time. For example an audio file that is put on a website or audio uploaded to a podcast server. Most websites can host audio, but programers try to avoid that so as not to make the website so 'heavy' and difficult to load. Plus with increased social media sharing, it is best to use a third party app such as Soundcloud or a podcast server. Podcast servers are Buzzsprout, Libsync, Audioboom and so on. The advantage of using a podcast server is that, once you have uploaded the audio, it is sent to iTunes, Google Play and other podcasting apps. Podcast Servers start at $120 a year and go up to $3,600. The smaller servers charge you based on a flat fee, some larger servers charge the flat fee plus a charge based on bandwidth used or space used. The cheaper app developers can easily be found on Craiglist, where they offer a template app for a business that cost $100. The price usually goes up, if you are streaming audio. Then there are companies in places like Los Angeles that will work with you. I don't know what the cost of that is, since they never wanted to give me a ballpark figure. You can also work with someone that specifically works with radio stations such as Lee Harris from http://harrismedia.com/ who understands radio and can possibly customizes something. It's important to keep in mind that launching an app is only the first step. Maintaining and updating meta data is key to gaining new listeners. Of course if you already have a large fan base it is a matter of seeing what is the most affordable way of distributing your audio to as many platforms as possible.